A walk through the premises of the Ruard Manor takes us along a path or iron, from the ore to the steel. Ironmaking collection includes a presentation of models of blast furnaces, foundries, work of charcoal burners and Pantz ropeway. Reconstruction of a smithery with a smith’s hammer and other original tools is also very interesting. Since 2008 the permanent collection has been complemented by an exhibition about the Sava ironworkers – famous Europeans and since 2009 by an exhibition, set up on the 140th anniversary of the Carniolan Industrial Company, and in 2012 multimedia content was added. 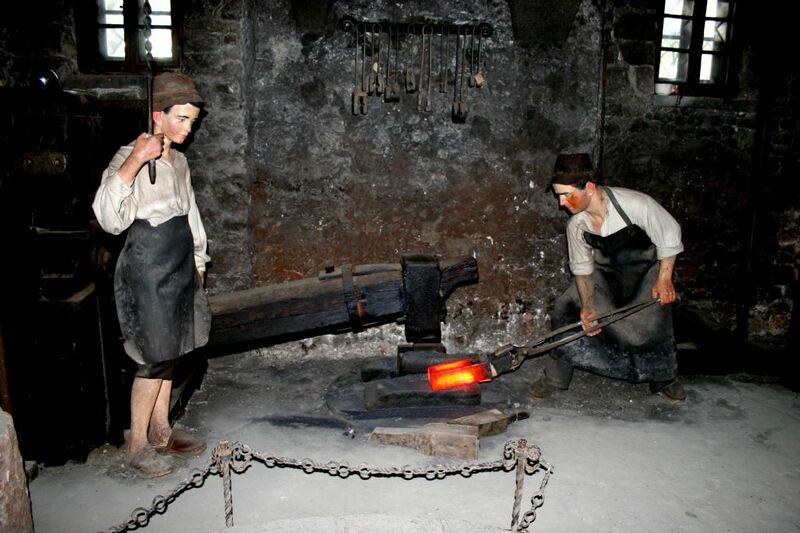 The history of ironmaking and mining and the influence of the Jesenice Ironworks on wider social life is presented by documentary films. Museum in Ruard Manor is CLOSED due the renovation. Thank you for understanding.